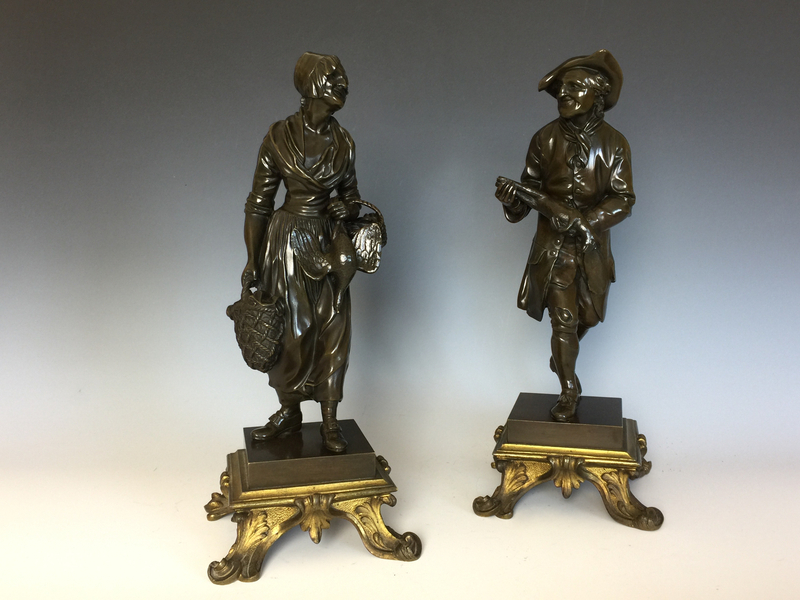 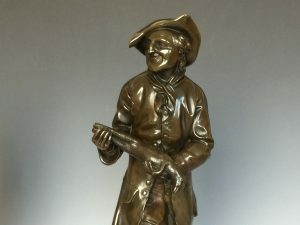 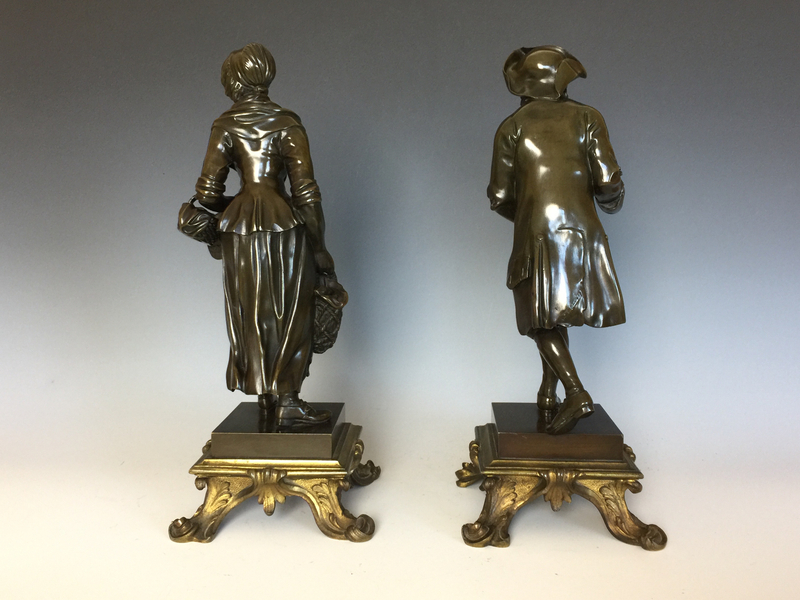 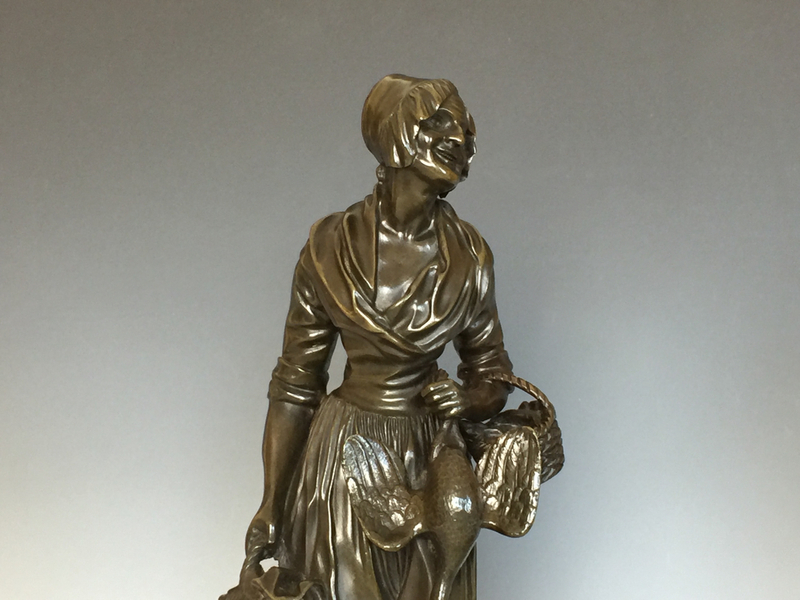 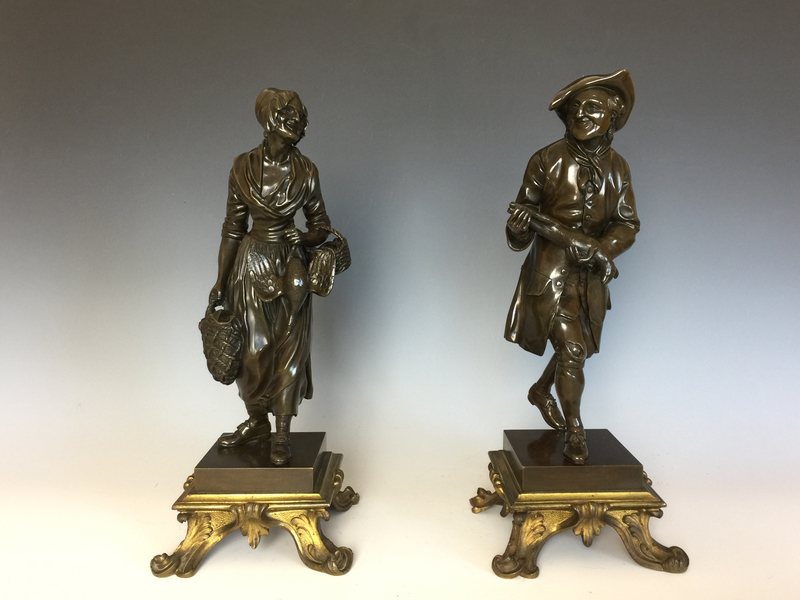 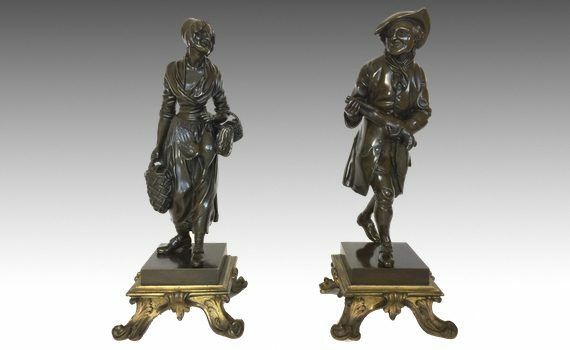 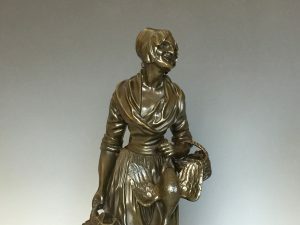 A pair of French patinated bronze figures in the form of peasants. 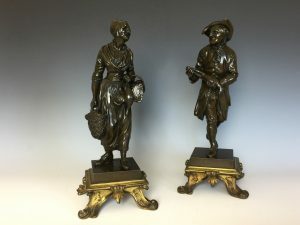 The figures in 18th century costume, he holding a rabbit, she a basket & bird, both supported on rococo gilt bronze plinths. 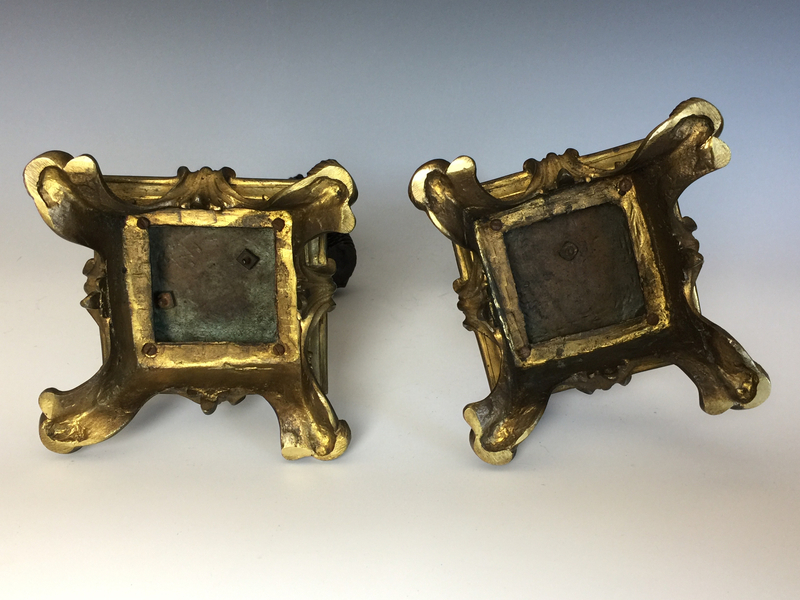 Dark brown/green patination.